Lawyers of Etaş came to the Saadet Party and notified the decision of the Supreme Court. Saadet Party headquarters against the decision of the foreclosure initiated against the party's lawyers through the building was asked to evacuate as soon as possible. Speaking about the decision to evacuate Saadet Party Headquarters lawyer Fatih Beyazıt said, "We requested them for a suitable period of time. But they said that they had to be as soon as possible. We were told that this is a headquarters and it will take a few months for a new real estate to be renovated. 'You have 15 days' they said. On the initiative of the executive officer, we were given a one-month process." he said. ETAŞ, which cited the reason for not paying the rent of Saadet Party's Headquarters building, started the foreclosure process in the party's headquarters in Balgat, Ankara. The execution officers based on the decision of the 15th Civil Chamber of the Ankara Regional Court of Justice came to the Saadet Party headquarters yesterday for the evacuation and communicated the decision to evacuate the building. 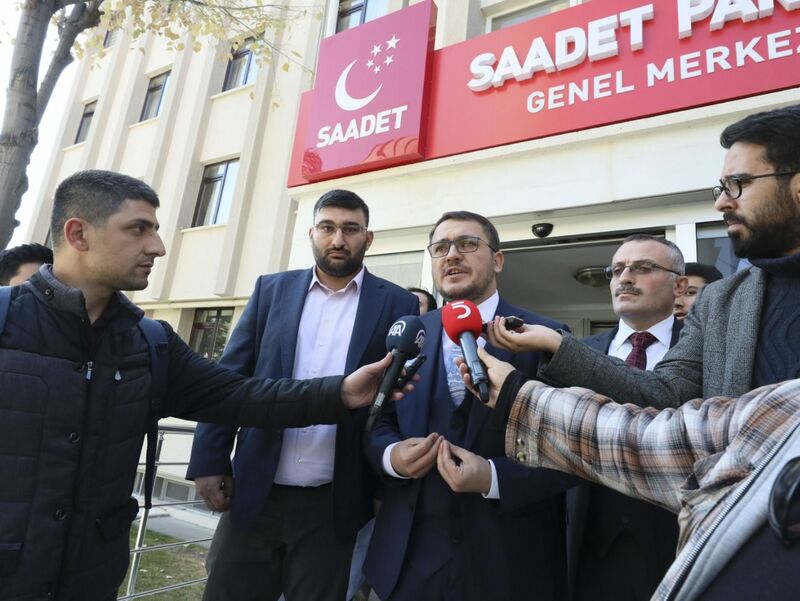 Speaking about the evacuation decision, Saadet Party Headquarters Attorney and Ankara Provincial Chairman Fatih Beyazıt emphasized that the building has been the Saadet Party Headquarters for 16 years. Beyazıt said that the counterparty wanted the evacuation to be realized within 15 days.